Affordable Korean Language Lessons Offered by the Korean Education Center of the Korean Consulate General of New York! Are you one of the many adoptees in NYC interested in learning Korean but not sure where to go? 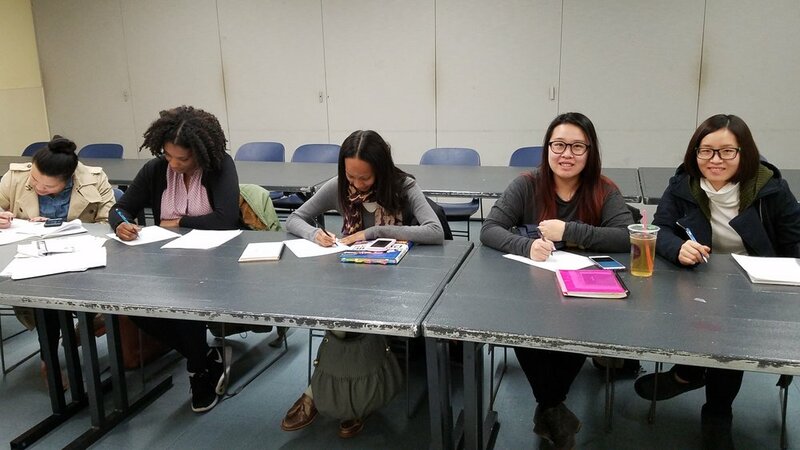 Also-Known-As is excited to announce that the Korean Education Center of the Korean Consulate General of NY will offer Korean language classes at both the beginner and intermediate levels. The Beginner Level I Class will start on Thursday, September 14, 2017 and the Intermediate Level II Class will start on Wednesday, September 13, 2017. The registration fee is $100. Registration closes Monday, September 11, 2017. See the registration and cancellation section at the bottom of this page for more information. If you are not sure what level class you should take or have any questions, please email language@alsoknownas.org. To support Also-Known-As and become a member, please visit our membership page. Professor Beom Lee will teach both the Beginner class and the Intermediate class. He has a B.A. and M.A. in sociology from Hanyang University, Seoul, Korea. He also has a M.A. and Ed.M. in Instructional Technology and Media, with a specialization in second language learning with multimedia from Teachers College, Columbia University. In the past he was a military officer in education and psychological warfare in the Republic of Korea Army, an assistant project manager (Hyundai Construction and Engineering Company), and is currently a lecturer in the Korean language program in the Department of East Asian Languages and Cultures at Columbia University. If you are unsure about your proficiency or have questions about the difficulty level of the class, please email language@alsoknownas.org. Classes will take place from 6:30pm-8:30pm at the Houston Street Center. Beginner Korean II Class will meet once a week for 2 hours on Thursdays, 6:30pm - 8:30pm. Ability to read and write the alphabet and words (though you might not know all the words) is required. Classes begin on Thursday, September 14, 2017 and will meet for 12 weeks (skipping Thanksgiving week). Intermediate II Korean Class will meet once a week for 2 hours on Wednesdays, 6:30pm - 8:30pm. Intermediate students are expected to have studied Korean for at least one year or be comfortable speaking and writing simple phrases. Classes begin Wednesday, September 13, 2017 and will run for 12 weeks (skipping Thanksgiving week). Classes will cover reading, writing, listening, conversation and grammar in a fun and dynamic environment. Korean language teaching materials will include textbooks, practice worksheets, grammar guides and vocabulary lists. The Korean Education Center is sponsoring Korean language classes for Also-Known-As at the special rate of $100. This fee is less than other local classes that are offered (typically $16-17 an hour), and comes with a teacher who is not only qualified to teach Korean, but also understands the myriad of motivations behind adult adoptees seeking to learn more about Korean language and culture. Registration for the spring semester will close September 11, 2017. Students must pre-register and pay for the class via the purchase link to the left. Payment can be made either online or by check. If you have any questions or problems registering, please email language@alsoknownas.org. You are encouraged to sign up early to ensure that your space is reserved and enough materials are prepared. Class seats are available on a first come first serve basis and are only secured once you have received a confirmation email. Students may cancel their registration and receive a full refund (minus Paypal processing fees) if cancellation notice is received prior to the first class. Students may receive a 50% refund (minus Paypal processing fees) if registration is cancelled before September 13, 2017. Unfortunately, we cannot offer partial refunds for any missed classes or any refunds for cancellations on or after September 16, 2017. To cancel your registration, email language@alsoknownas.org. All classes are held at University Settlement at the Houston Street Center located at 273 Bowery (corner of Bowery and E. Houston) New York, NY 10002. Subway: Take the F to 2nd Ave exit, the B/D/F/M to Broadway–Lafayette St exit, the 6 to Bleeker St exit, the J/Z to Bowery exit, or the N/R to Prince St exit. Bus: M21 or M103 to Bowery and E Houston.